Professor Der-lin Chao has taught Chinese at Hunter College since 1998 and is currently head of Hunter's Chinese Division. 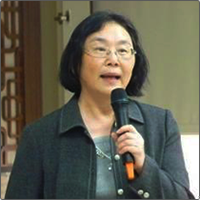 She has taught Chinese for over 30 years and has directed language programs at various institutions, including Princeton University, Connecticut College, Oberlin College, and Rutgers University. Dr. Chao is the president of the Chinese Language Teachers Association. She enjoys classical music, reading, and cooking.. 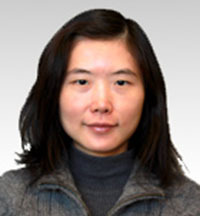 Originally from Beijing, Zhuting Chang received her master’s degree in Linguistics from Indiana University. She holds another M.A. in Foreign Linguistics and Applied Linguistics from China Foreign Affairs University. She has served as a coordinator and lead teacher of the STARTALK High School and Teachers Program at Hunter College since 2011 and has worked as a lead instructor for the Chinese Flagship program. She also teaches Applied Linguistics and Pedagogy for the Chinese M.A. Program. Ph.D. Candidate in Social and Philosophical Foundations of Education, University of South Carolina (USC). Xiaohui Wu was born and raised in a small town in Ordos City, Inner Mongolia Autonomous Region. She has a wide range of experience in teaching Chinese, including teaching Intermediate Chinese at USC, tutoring Chinese online for the Hunter College Summer STARTALK program, designing the curriculum and teaching Chinese at a Chinese immersion school called East Point Academy (EPA) in SC, and coordinating the Chinese program at the Columbia Academy of Chinese Language, a community-based Chinese school in SC. 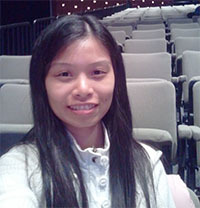 She has found teaching Chinese in the U.S. to be intellectually, professionally, and personally rewarding. 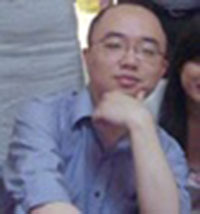 Bo Hao is a lecturer of the Department of Classic and Oriental Studies at Hunter College. He earned a B.A. in Asian and Asian-American studies from Stony Brook University, and an M.A. in Adolescent Chinese Education from Hunter College. 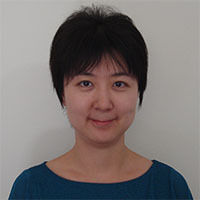 Bo Hao’s research interests include adolescent education and second language acquisition. He plans to pursue a doctoral degree in applied linguistics in the near future. 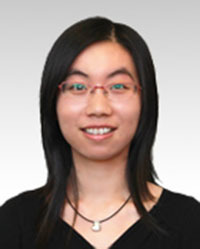 Bing Ying Hu earned her B.A. degree in Economics from Skidmore College in 2008 and her M.A. from Hunter in 2012. As coordinator of the Hunter Chinese Flagship Program, Bing Ying helps to recruit new students, organizes Flagship events, and prepares students for their study abroad experience in China. Bing Ying also coordinates the Hunter College Summer STARTALK programs for high school and middle school students who want to learn Chinese. 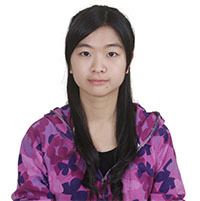 Bing Ying studied abroad at Beijing University and Sophia University in Tokyo in 2006-2007. Her interests include traveling and learning about different cultures. 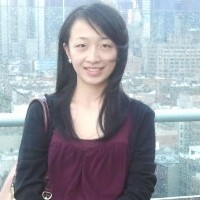 Wei-Yi Cheng is a lecturer at Hunter College. She has participated in the Chinese Literacy Development Project since 2004. 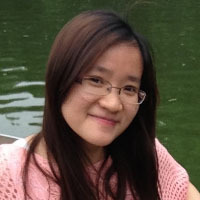 In addition to utilizing various instructional methods and resources to engage students in learning Chinese, she has applied educational strategies to the design and development of interactive multimedia materials. I come from Taiwan. I have been teaching Chinese for four years. I love being a Chinese teacher, because teaching Chinese is interesting to me and I enjoy helping students to learn Chinese. Moreover, teaching Chinese has led me to a deeper understanding of my language and culture. I joined Hunter Chinese Flagship program in 2013 and I am glad that I have an opportunity to be part of this team. 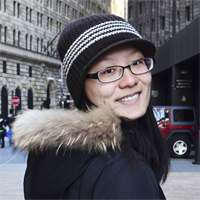 My favorite writer is Eileen Zhang (張愛玲), and I love traveling and interacting with people from different cultures. Nien Ning Shih received her B. A. in 2010 from the Department of Foreign Languages and Literature of National Chiao Tung University in Taiwan. After a year, she received her “National Teacher Certificate” from the Taiwan Education Ministry and taught English to middle school and high school students. Nien Ning's M.A. studies focused on teaching Drama, Language Arts, Literature, and Reading. 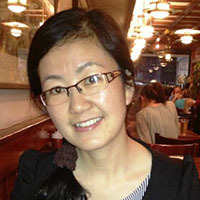 Nien Ning's professional interests include developing and designing curricula, classroom management, counseling adolescents, and introducing Taiwanese culture to overseas youth students. My name is Wen Xi Zhang. I am a transfer student from Borough of Manhattan Community College, where I earned an associate degree in Liberal Arts in 2011. I graduated from Hunter College in Fall 2013 earning a B.A. degree in Chinese Language and Literature. When I was in high school in China, I wanted to be a pharmacist, but when I came to New York, I saw that people of many different ethnicities had great enthusiasm for learning Chinese. It makes me proud to introduce Chinese language and culture to people who want to learn more about China. Therefore I decided to study Chinese Language and Literature and became a Chinese Flagship tutor at Hunter. In my spare time, I love watching comedies, which I think is an easy and enjoyable way of learning languages. I earned my B.A. degree in Chinese from Hunter College in 2013. I’m currently a student in Hunter College’s M.A. Program in the Teaching of Chinese. I am also begining my second year as part of the staff of the Hunter Chinese Flagship Program. I enjoy tutoring the Flagship students and I think I learn as much from them as they learn from me. During my leisure time I like to travel, listen to Chinese music, and watch Chinese dramas. I’m from Guang Dong province in China. I received my B.A. Degree from South China Normal University in 2011. I’m currently a student in Hunter College’s M.A. in the Teaching of Chinese program. I have participated in the Chinese Flagship program since July of 2012. During my free time I like to watch Journey to the West, travel, and try different kinds of foods. My name is Yujia Hua. I got my first B.A. degree in China; I am now studying to earn my M.A. degree in Teaching Chinese. I became a Flagship tutor in 2010. I really love our program. I enjoy the experience of teaching Chinese. It provides me a chance to let other people know more about Chinese culture. Through learning Chinese students gain a broader view of the world. Mastering a second language, especially Chinese, is a great thing. I would like to help students learn Chinese pronunciation, grammar and writing. My ultimate goal is for my students to be able to use the language to communicate properly and smoothly. I come from Chengdu, a beautiful and relaxed city. Chengdu is known as the home of the giant pandas. 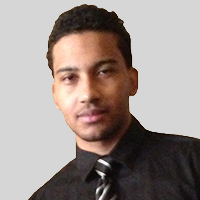 Haleeq is the primary programmer for the Chinese For All website. He earned an undergraduate degree in Chemistry from City College, City University of New York, and is now taking computer science courses. He is going to pursue a Masters degree in computer science. Copyright © 2012-2013 Chinese for All. All rights reserved.